Hey guys.. I guess I'm a little late on the holographic band wagon.. but I made it! 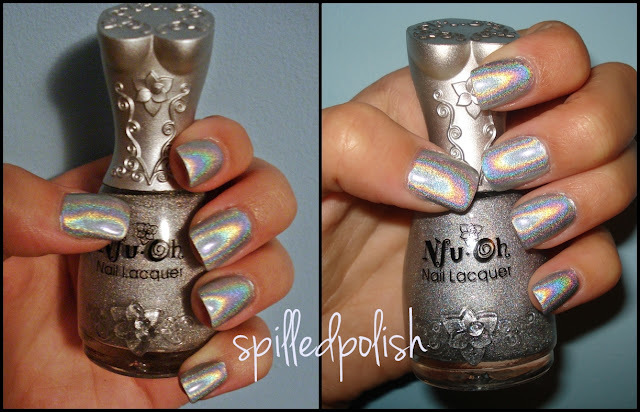 And.. OMG where has holographic nail polish been all my life?!? I grabbed this Nfu - Oh nail polish from Nail Polish Canada for $12.50!! It's weird because in the bottle, this polish is kind of disappointing.. it looks like any other silver nail polish.. but put it on and wait 30 seconds and you'll be amazed! !